MARCH 2007 -- Well, another month has gone by. I hope March will be better than the beginning of February. I’d like to introduce you to the new Jr. Deputy of Quinebaug Pomona. His name is Tom Perry of Senexet Grange #40. 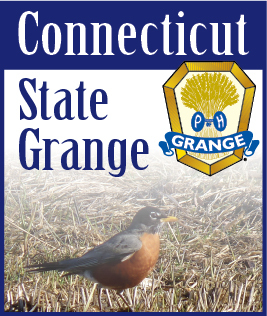 I would like to congratulate the Junior Grange Award Winners from Connecticut. The theme for National Grange was “Building Communities.” The Creative Art was to “Draw a Picture of Your Community.” The First Place Winner in ages 12-14 was Brandi Hawkins, age 12, of Ekonk Community Junior Grange #101. The Creative Writing was to “Write about your Junior Grange Community - What role do you play within your Junior Grange?” and Second Place Winner in ages 7-8 was Hannah Couta, age 7, of Ekonk Community Junior Grange #101 and Second Place Winner in ages 12-14 was Katrina Sebastian, age 13, of Ekonk Community Junior Grange #101. CONGRATULATIONS TO ALL OF YOU!!!! GREAT JOB!!! !